We have entered 2019 and we are in a stage where we are getting prepared to open this project to traffic in the third quarter of 2019. 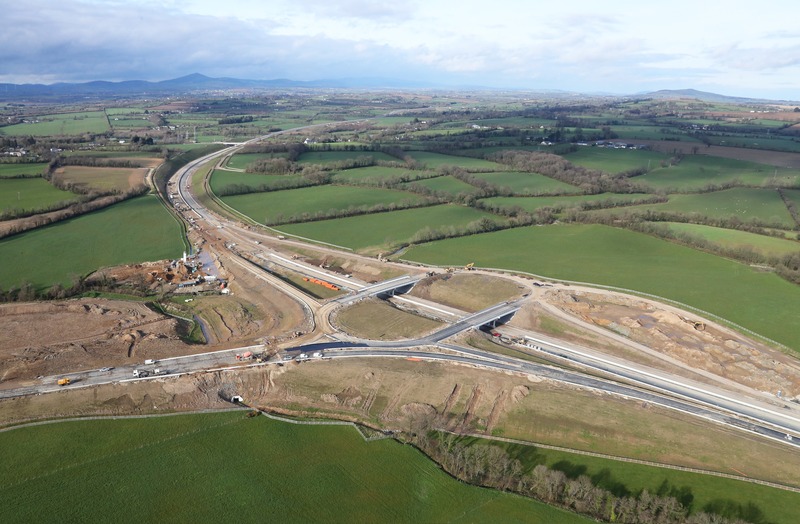 Works at M11, N30 and N80 Link Road have all advanced and new road pavement is now covering most of the Works areas. The final Wearing Course has commenced on the M11 mainline road in February 2019 and we are increasing our efforts in order to deliver this project to the public ahead of time. Works at all tie-ins with the existing road network are ongoing. 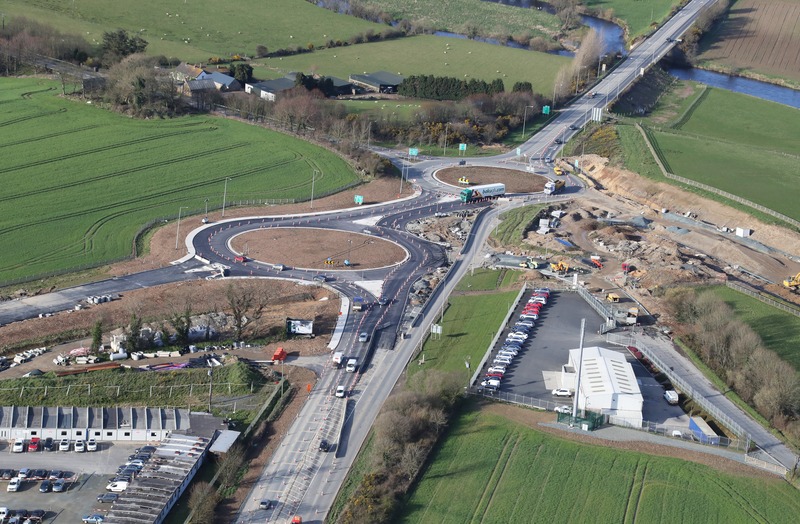 This consists of Frankfort Junction at the North of the new M11, Scurlocksbush Roundabout at the southern end of the new M11, Ballydawmore Junction which connects the new N80 Link Road to the New M11, Clavass roundabout which is located next to the existing Clavass/Scarawalsh roundabout and will connect with the new N30, and Templescoby Roundabout which is at the southern end of the new N30 and will connect to the existing N30 road. 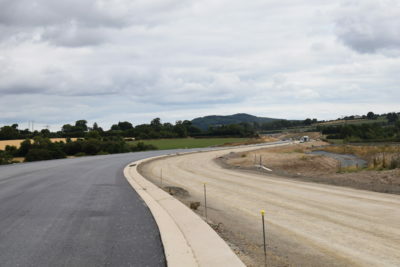 All side-roads have been substantially completed, and opened to traffic for the public and only some tie-in works are remaining at M11 R744 road and at N30 Milehouse road. The construction of these tie-ins and roundabouts will be done in phases in order to allow for the traffic to be maintained. All drainage works are completed for the mainline and continue only at the areas of the tie-ins. Earthworks and drainage subcontractors that have completed their works are demobilising or being reallocated to perform other finishing works. Wearing Course has commenced in February 2019 and this is the final layer of the road pavement to be constructed. Pavement works are ongoing and our target is to have all pavements completed by end of May 2019. Steel safety barrier works are ongoing. All 28 major Bridges have been completed to date and only snagging works remain. Lighting columns installation has commenced. Landscaping works will continue until spring. Finishing crews are working in multiple areas doing snagging and cleaning all the areas in order to be ready for the opening of the road. Now that all Earthworks and drainage has been completed for the mainline of M11 N30 & N80 Link Road, we are now in a position that we can concentrate in finishing the final layers of the road which is the road pavement and the final wearing course. .
“The Wearing course is the final surface layer of a road pavement that provides skidding resistance for vehicles, and takes the initial wear of traffic”. This layer is a mixture of construction aggregates with a bituminous binder – asphalt with a thickness of approximately 3.0cm. The wearing course is typically placed on the previous pavement layers (which consist of binder course and base course which also contain a different mixture of aggregates and asphalt . See also photo below. 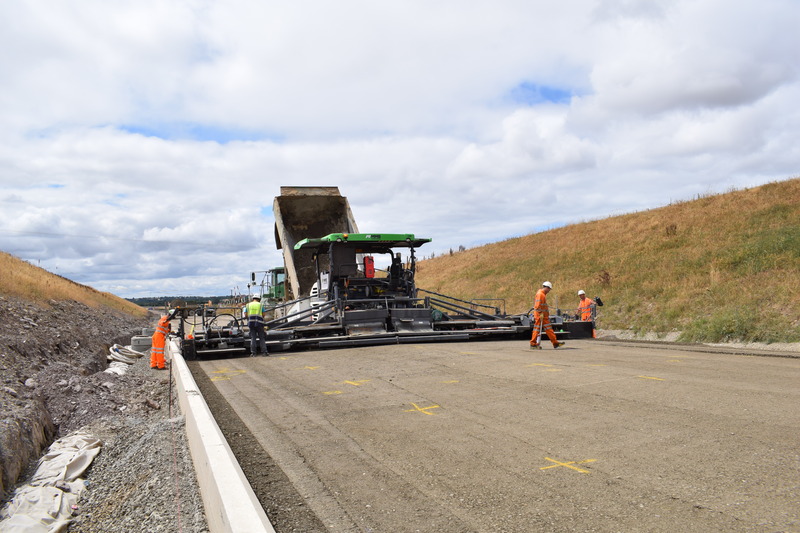 We already have three crews on site working on Pavement and Wearing course layers at the same time for the last month and as more and more areas are getting finalised they will be running along various locations of the Site to complete all the works. Currently we are laying at a rate of approximately 1.2 kilometres per day per carriageway. A great effort is being put in by all our teams and subcontractors in order to coordinate these works, which require delivery to our site of approximately 1,000 tonnes of tarmac daily on site with approximately 50 road trucks. 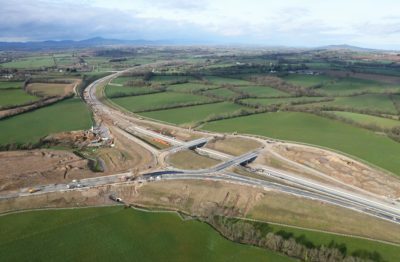 As we are heading towards spring we are expecting that this rate will increase as the days get longer and the weather improves which will allow us to advance even more with our works and have this project ready to be delivered to the public in the 3rd quarter of 2019. The only works to follow after those pavement operations will be the lining of the road and installation of Directional and Regulatory signs and associated gantries. As soon as these works are completed and the Tie-in works of the junctions and roundabouts are finalised, the road can be delivered and opened to public traffic. 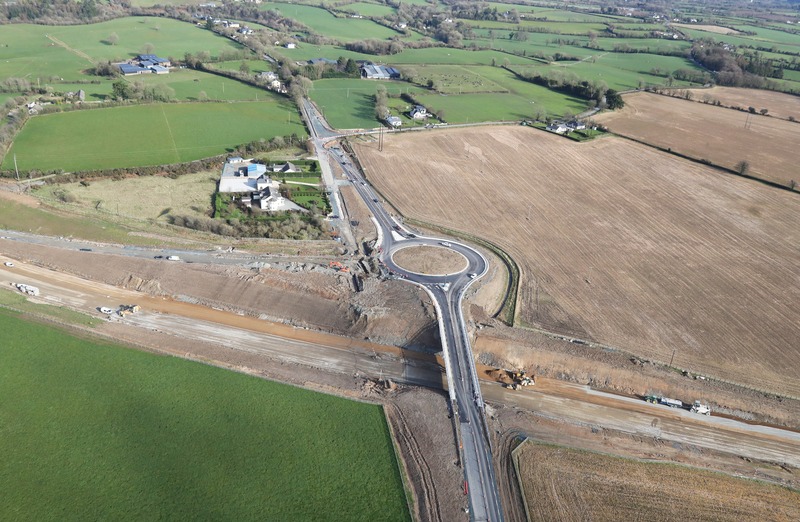 The PPP Company and our Contractor M11EJV greatly appreciate the co-operation and patience of the local residents and the public while this major infrastructure project is under construction. 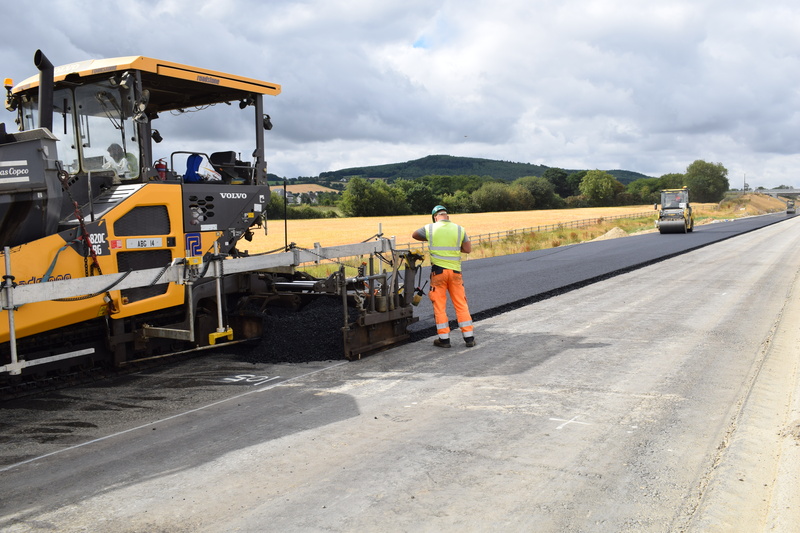 The pavement works consist of preparing the final surface of the road which will be durable and suitable to bear vehicular traffic. 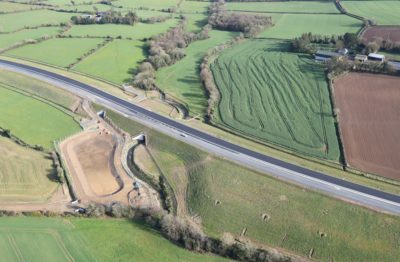 When we reach the final level of the earthworks – formation, more layers are added each one very important for the durability of the road. At this stage in our project we are at the formation level and we are working with CBM (which stands for cement bound material). 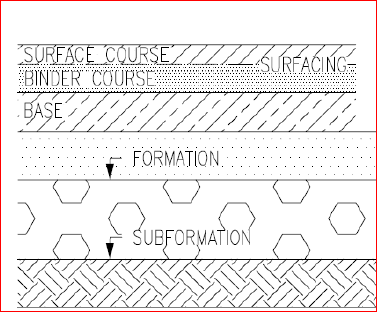 This layer is prepared with a machine as shown in the photo on the right, and has also to be compacted and covered with further bitumen layers. For a more detailed description of the pavement please read our Issue 11 newsletter, which can be found here. 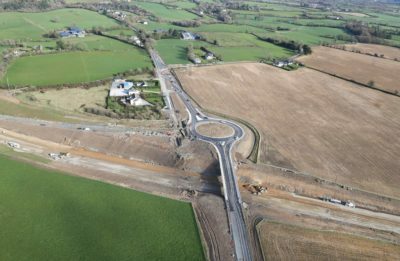 We are aware of the public interest on this important project and we would like to thank the people, who through forums like Boards.ie and other platforms are following the progress of the works and how the construction activities are changing the landscape of the area. Our construction teams and subcontractors do their best to deliver this project according to the highest standards and on time for everyone to use. 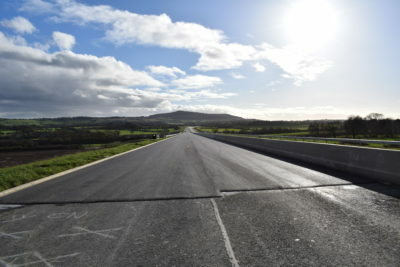 It is also very important to be aware that the land being developed for the M11 Gorey to Enniscorthy project is not open to the public until the road is completed. There are significant dangers that could be present on a construction site, especially at this stage of the works with multiple construction crews and subcontractors on site, working on earthworks, drainage, pavement, barriers and finishing works, resulting in heavy construction traffic. For your own safety, remember – construction sites are “No trespassing zones”. Please do not enter this Site at any time. Please click here to view our newsletters which keep you up to date with the progress of the project.